Dr. James Berenson is a medical oncologist from West Hollywood, California. He has been working in the medical field for the past 40 years. Dr. Berenson graduated from the University of California San Diego School of Medicine. He completed his residency at University of Utah and the fellowship stage at the University of California at Los Angeles (UCLA). Dr. James Berenson is a board-certified specialist in internal medicine and oncology. He has been actively involved in the research field throughout his career. Some of the topics he focused on in his studies are refractory multiple myelomas, anti-myeloma agents, panobinostat potential for patients with relapsed and refractory multiple myelomas. 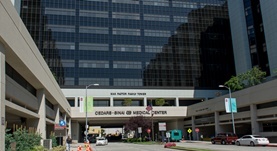 Dr. Berenson currently works for the Cedars-Sinai Medical Center in Los Angeles. Dr. James R. Berenson has contributed to 3 publications. CHAMPION-1: a phase 1/2 study of weekly carfilzomib and dexamethasone for relapsed or relapsed and refractory multiple myeloma. Berenson, J. R.,Cartmell, A.,Bessudo, A.,Lyons, R. M.,Harb, W.,Tzachanis, D.,Agajanian, R.,Boccia, R.,Coleman, M.,Moss, R. A.,Rifkin, R. M.,Patel, P.,Dixon, S.,Ou, Y.,...; Blood. 2016 May 22. Synthesis and evaluation of 2-alkylthio-4-(N-substituted sulfonamide)pyrimidine hydroxamic acids as anti-myeloma agents. Xiang, J.,Leung, C.,Zhang, Z.,Hu, C.,Geng, C.,Liu, L.,Yi, L.,Li, Z.,Berenson, J.,Bai, X.; Chem Biol Drug Des. 2015 Nov 01. The potential of panobinostat as a treatment option in patients with relapsed and refractory multiple myeloma. Andreu-Vieyra, C. V.,Berenson, J. R.; Ther Adv Hematol. 2014 Dec 04.